When technician Mickey Levis had to find a new PA for Bendigo’s Capital Theatre, he did a full dress rehearsal. 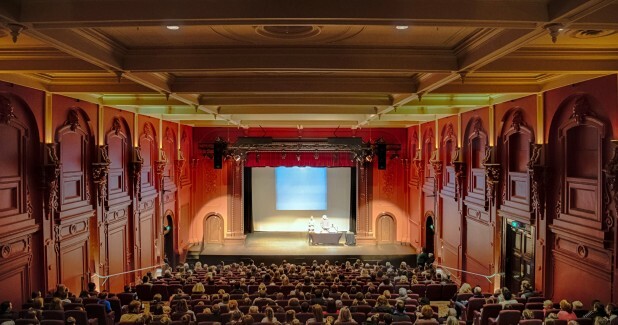 When Bendigo’s new 1000-seat Ulumbarra Theatre opened in 2015, everyone thought it would simply spread the gig load. Up until then, the 480-seat Capital Theatre had been doing it all — music, events, theatre — you name it. By the seat allocations alone, Ulumbarra should have cannibalised at least two-thirds of the Capital’s shows, but head technician Mickey Levis said the Capital is still as busy as ever. There’s just more gigs happening in Bendigo. Two hours north-northwest of Melbourne, Bendigo has carved out a place for itself as the centre of a regional tour catchment. If a tour is hitting Bendigo, punters will often head there — even when they’re on the dividing line between there and Melbourne — because accommodation is cheap and the area is beautiful. With the newly built Ulumbarra getting a d&b line array and Yamaha CL5 digital console, it felt like The Capital was lagging behind. 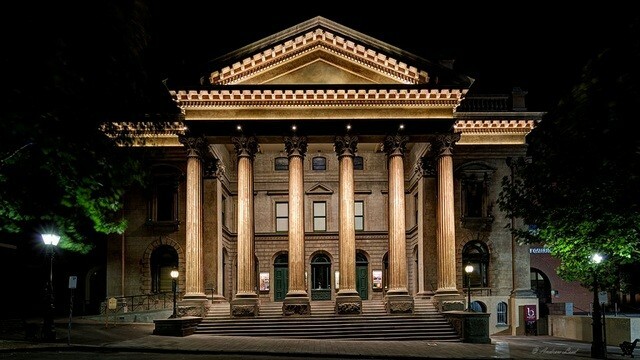 The Capital Theatre was built in 1873, as a masonic hall, when the big Corinthian columns and Octastyle porticos of the Renaissance Revival were in vogue. You’ll find similarly statuesque proportions on significant buildings like the State Library of Victoria. The cement rendered building is ornate, and it looks brilliant, so good that it has a dreaded heritage overlay. Nary a hole can be drilled or lick of paint applied without attracting unwanted attention, so when it came to choosing a system, it had to be able to hang off the existing front truss. It also had to come within the budget, and handle a huge variety of performances: from Fred Astaire tribute acts, for retirees, to indie bands travelling through the region. To keep consistency, the console is also a Yamaha CL5, which passed the theatre crew’s sound, workflow and torture tests. 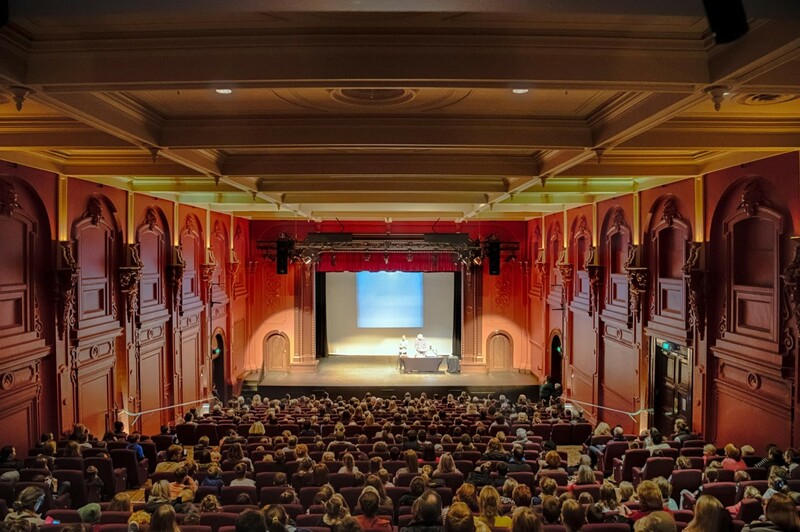 Two stages of raked seating have been installed into the originally flat-floored building since it was converted into a theatre in 1991. The only other soft touch are the heavy stage drapes. The rest of the surfaces are entirely hard and untouchable, yet the Capital sounds surprisingly good. When some capital funding came the Capital’s way, Levis knew he didn’t want to make the decision in isolation. He founded Troy Horse in Sydney and has a long history in event management and audio installation. “It’s very hard to make a decision in your own venue; you know too much about it,” he explained. “We wanted to get closer to what the clients coming through the theatre, and the punters in it, experience.” Drawing on the larger Victorian Performing Arts Centre (VPAC) organisation, he invited other technicians, local theatre and hire companies to be part of the process. He then put out a call for any distributors who wanted to be part of the shootout, coming out of the process with a handful of high quality PAs that fit under the budget ceiling. With all the feedback and written reports, Levis was worried they’d get a spread of favourites. Reassuringly, however, he said it was almost unanimous, everyone loved the sound of the KV2 Audio rig. After showing the rig to management at the end of the process, they were pretty happy that it also came in at $35,000 less than any other contender. The system now installed at the Capital is a pair of KV2 Audio ESR215 full-range, three-way loudspeakers. The five-foot tall box has two 15-inch woofers, above and below a central three-inch compression driver and eight-inch, horn-loaded mid-range driver. With its 110-degree dispersion and centrally-located mid and hi drivers, it works best flown where the top end can spread out rather than hit you in the stomach in a ground stacked setup. It pairs with the ESR3000 control device containing six individual amplifiers with separate Class AB topologies to match the components each is driving. System processing is via an SAC2 Super Analogue Controller — which has basic controls for limiting, a four-band EQ and a couple of notch filters — and two SDD3 Delay Lines. There’s no DSP signal processing to mess with, which fits into KV2 Audio’s philosophy of building monitoring-quality loudspeakers that don’t need intervention. Despite the tri-amplification, it all goes to the box on one cable, which suited Levis’ heritage-restricted working environment just fine. While the ESR’s go down to 30Hz, the system also has two VHD2.18J subs mounted under the stage to reinforce the low end. They’re driven by a separate VHD3200 amplifier. 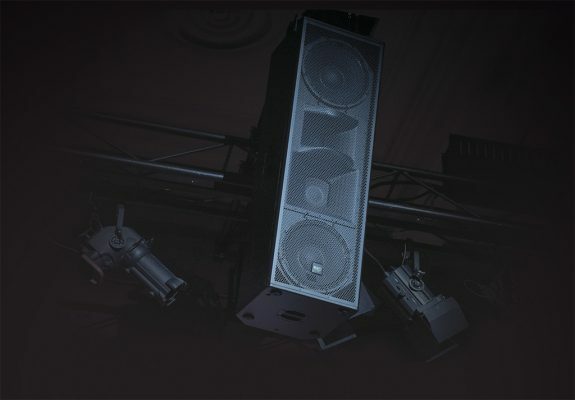 Three perfectly-timed EX26 front fill speakers are embedded into the stage, which Levis can pull up on top of the stage to get a bit more throw during a band show. The whole system sounds fantastic, and gets great coverage across the venue without the sense of losing one side as soon as you step off the centre line. Front to back, with the seating rake, you only lose about three dB, eliminating any need for delay speakers. It’s a testament that sometimes flashy line arrays, with loads of processing and Class D amps aren’t always the best solution; point source boxes tied to a Class AB amplifier can still sound spectacular… and apparently come in much cheaper, too.